Charting works from 1984 to the present this book features Price’s original drawings for some 45 projects, many of which are annotated with incisive observations on the subject of architecture and its impact on human beings and the environment. 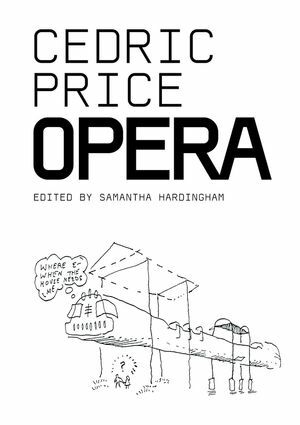 Alongside Price’s own writings the book includes texts by ten invited contributors from the fields of architecture, architectural history and research, theatre, film and politics, and shorter comments from others (including Will Alsop, Paul Hyett and Frei Otto) whose lives have been touched by Price. SAMANTHA HARDINGHAM trained at the Architectural Association (1987-93). Having spent one disturbing month in practice, she subsequently went on to write about architecture, in particular London: a guide to recent architecture (ellipsis/Batsford, 1994), now in its 6th edition. Identity/Identification/Contol/Private, Secret - Single - Delight. Making Sense of Changing Ends by Altering Means.